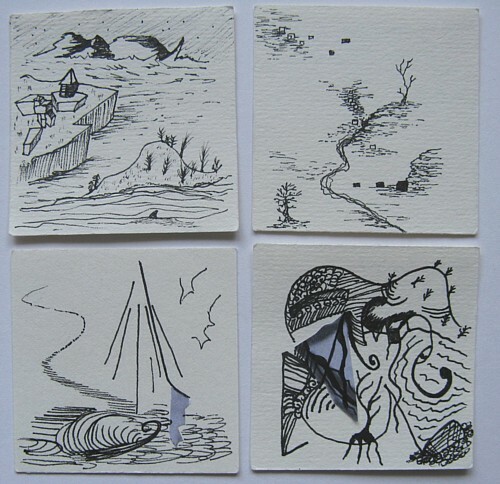 As part of this body of work the artist has made a small drawing every day for a month. Each drawing presents a snapshot of one moment but seen together they provide a gateway into the subconscious over an extended time. A fantastical landscape is created, conceived as a map of thinking and a trace of the artist’s fragmented thought processes. Viewers are encouraged to construct their own meanings from the ambiguous imagery, which implies a narrative that is never told.